Movie theatres are a nightmare. They're expensive, they're loud — but most importantly, I can't start and stop the movie. At home, I rarely make it through a movie without pausing at least once for a snack refill and a bathroom break. That alone makes home rental better than the theatre. One thing would change my mind: Intermissions at the theatre. 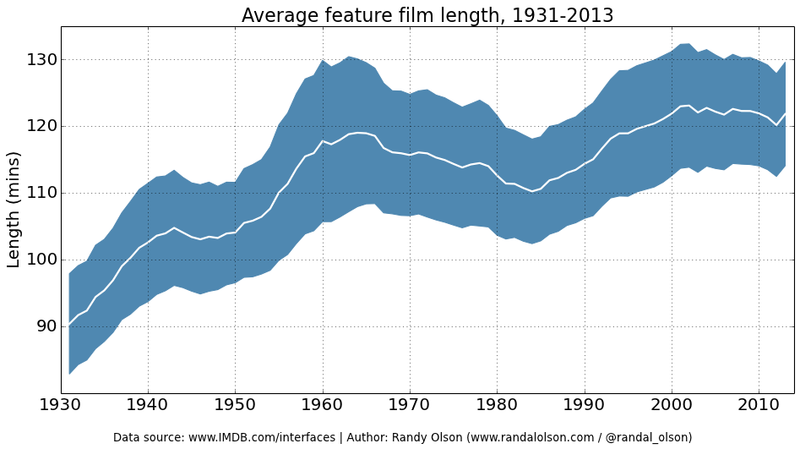 In the late 90s, the average movie length passed 120 minutes and it hasn't dipped below that ever since. The movie theatre tries to sell you a large Coke, then asks you to sit motionless for two hours or more. By the end, your back aches, your eyes are tired and you can't appreciate the credits and quietly reflect on what you just saw, because everyone is rushing for the bathroom line. The problem is so prevalent, there's even an app called RunPee that suggests what scenes you can skip while you duck out and pee. No matter your argument against intermission, you have to admit that "miss part of the movie so you don't wet yourself" is not a pleasant status quo. In previous golden ages of film, when movies got longer, they added intermissions. Epics like Ben-Hur, Lawrence of Arabia, Gone with the Wind, and Seven Samurai were broken up — sometimes in all showings, sometimes just during early screenings — so they could be hefty without being physically gruelling. But even though three-hour epics are back in style, the intermission is not. Only a handful of movies have added an intermission in the past two decades. Quentin Tarantino stuck one in the early release of The Hateful Eight, but not in the wide release. It apparently takes a four-hour film like Gods and Generals to earn an intermission. I'm not the first to suggest a return to intermissions. Slate's culture critic Aisha Harris and screenwriter Nathan Hartman both thoroughly argued for it in 2014; San Francisco Chronicle critic Peter Hartlaub asked for it back in 2010. As all of these professional movie-goers pointed out, intermissions aren't just good for audiences; they're also good for theatres, which get another round of concession sales. Theatre owners confirmed to Hartlaub that they'd like to have the option of an intermission. But they're not allowed; only the studio can decide whether a movie is shown with a break or not. Intermissions won't ruin the immersion or story for viewers. They didn't ruin The Sound of Music or 2001: A Space Odyssey. (One critic argues that the intermission in Seven Samurai is an integral part of the story.) They don't ruin live theatre, where intermissions are the norm for any show over 100 minutes. Unlike constant commercial breaks on TV, which dice a show into frantic bite-size acts, an intermission simply splits a behemoth into two manageable halves. Think of watching back-to-back episodes of Game of Thrones or Westworld; HBO wouldn't dream of running one episode right into the other without a minute or two to breathe. But just adding intermissions at arbitrary points would cause problems. Plays are written with intermissions in mind; so were the epics of yore. So are Bollywood films, which still commonly include an "interval". As film writer Sampada Sharma explains, Bollywood movies are structured in two acts, like live theatre, and unlike Hollywood's typical three-act structure. Screenwriters and directors would need to plan their story around the intermission. That's a huge ask! But so is demanding everyone sit in the dark for two and a half hours because you refused to cut another scene. And it doesn't mean transforming whole plots; it means tweaking a beat or two, out of a dozen, near the middle of a film. Imagine the fringe benefits: Constant texters might finally put their damn phones down if they know there's a break coming. Audiences can talk about the first half of the film and prepare for the second. Everyone can stretch their legs so the film doesn't feel like a plane flight. Sure, people might sneak into other movies halfway through, but it's not like they can't do that already. People will need to save their seats — sure, fine. It all worked in the 60s, and it can all work again. And maybe, just maybe, all this can add up to more people coming back to theatres, instead of waiting til everything comes to Netflix. Maybe it can convince me to buy my MoviePass and go to the theatre once a month instead of once a year. Maybe it will even convince me to buy popcorn. Intermission can do that thing the industry is desperate for, the thing 3D and IMAX couldn't: make "going to the movies" feel special again. Let's all go to the lobby, to get ourselves a treat. It would also give an opportunity for short films to get an airing: back in the seventies and early eighties intermissions were built into the timetable of a cinema because there were the ads and trailers and a couple of short films then an intermission followed by the main feature. I remember seeing a lot of great short films I wouldn't have had a chance to see otherwise (I know, we have youtube for that now). I get that you can squeeze more showings into a day if you don't have an intermission but it used to be that going to the movies would be an event rather than something that could fill in a couple of hours (read Clive James Unreliable Memoirs for an idea of what it used to be like) and with the renewed focus on trailers these days, I don't know why it can't be again. That last Lord of the Rings movie was a killer for me. As soon as the credits started rolling 600 people all dashed to the bathroom. Yes - please bring back the intermission. People still go to the movies?? Constant texters might finally put their damn phones down if they know there's a break coming. Bwa haa ahaa haaaa! That's a good one. As someone who used to be a cinema usher, the idea of an intermission sounds horrible. 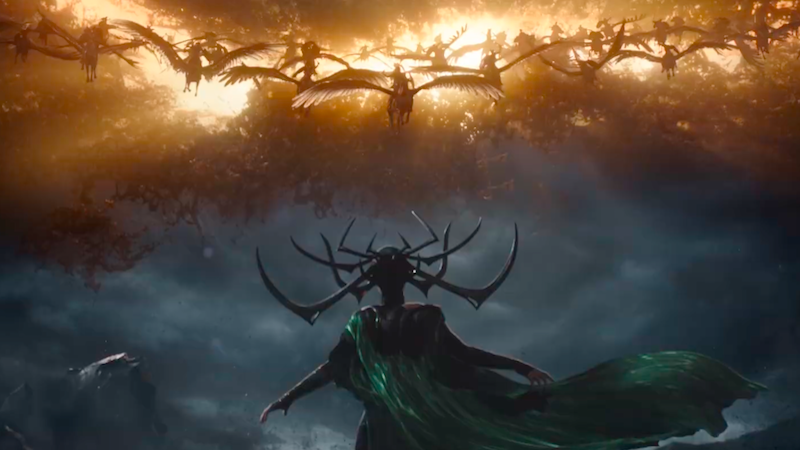 It's hard enough to get everyone in an seated before the movie starts and within the 10-15 minute turnaround between movie sessions, much less let all those people out again halfway through and expect them to be back in time for the second half... Four words: Not. Going. To. Happen. Then there's the issue of multiplexes and multiple screens. People can and will sneak into the other screens between sessions. When Terminator 2 was on in 1992 we had a full house for the 8 cinema complex. All 2560 seats filled for the 6.30pm session. Then we had 3000+ people turn up for the 9.00pm session so we had to let everyone out the rear fire doors into the carpark because the foyer was solid sweaty bodies. Even then we had to refund 600 seats because there simply wasn't any room left. People had snuck in. The manager was going off his nut at us as the seats were meant to be there. With 3 staff doing the job of 6 (as designed for the complex) there was nothing we could do about it. Now add an intermission into that?... Not a chance.